Live Laugh Decorate: One Room Challenge - Reveal Day! 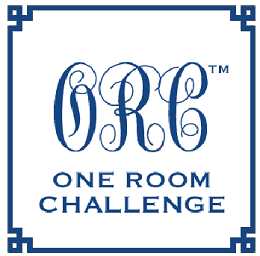 One Room Challenge - Reveal Day! 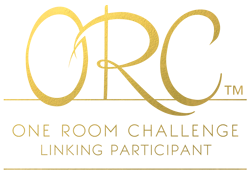 Okay, I'm not participating in the One Room Challenge, the amazing 6 week design frenzy fest organized by my blogger bestie, Linda of Calling it Home. But it's been my weekly design reality show, design crack, similar to my Red Bull addiction. Call it what you will, but all I know is that every Wednesday I saunter all over the Internet checking in on the progress made by all the participants and guess what? Today is reveal day! Head on over to Linda's blog to see her reveal and for links to everyone else's big reveal moment. I believe it will all leave you speechless, in a good way of course. You are so kind, Nicole. Thanks for covering the challenge, and being the bliggie bestie that you are. I hear it is already 80 degrees by you. I'm jealous. You're welcome lady. You were among the first to embrace me on this blogging journey so I'm eternally grateful and happy to see you blossom. I bet the changes are amazing! They are. You better go check em out. That is so sweet of you Nicole to post this! Thanks so much for your support and wonderful comments. You really do "get" me and what you comment to me on really inspires me, i.e. that post on how hands on a designer is. I absolutely loved what you wrote and I am with you 100%; from the nitty gritty to the reveal, I love to be involved in it all, just like you. You are guys are amazing so my comments come naturally. As you can clearly see, I feel passionatley about getting some hands on experience in this biz so that post had me on fire. I'm really looking forward to that series as well. Thanks for always swinging by and showing some love.